Finally a new technology to restore sound quality and cure my ears! Gartner Hype Cycle for Emerging Technologies- Hype or Reality? Top 10 latest trends in Social Media Marketing. Who is going to win the Mobile OS battle? Do you speak Social Media ? Do you know what OED and NOAD stand for ? 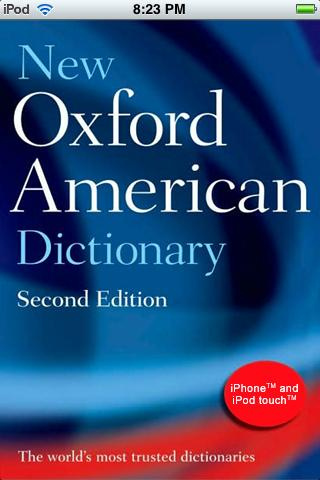 They are great institutions: they stand for Oxford English Dictionary, and New Oxford American Dictionary. Therefore we can consider OED and OAD are recognized as the best guardians and witnesses of the evolution of the English/American Languages which somewhere is just the translation in words of the evolution of our society and way of life. We all know that email, and even more text messaging and instant messaging has been changing not only the way we communicate but also the way we write (specially the way our kids write! ), but I just want to catch your attention on another impact of new technologies on our language. If you have any doubt of the importance, impact and adoption by the public, as well as by corporate community, of Social Media and Social Networking, here is a fact which may help open your eyes and convince you. Hashtag – noun: a # [hash] sign added to a word or phrase that enables Twitter users to search for tweets (postings on the Twitter site) that contain similarly tagged items and view thematic sets. Tag cloud – noun: a visual depiction of the word content of a website, or of user-generated tags attached to online content, typically using colour and font size to represent the prominence or frequency of the words or tags depicted. Slashdot effect – noun: action to slow down or crash a small website due to a huge increase in traffic when the website is linked to another, much more popular one. Minute mentoring – noun: a system of advising aspiring professionals based on the format of speed-dating. And, oh, by the way, sign of the times, the new edition for these two dictionaries are available as iPhone apps ! So do you speak fluently Social Media ? And if so, guess which words will be the additions to the next release?